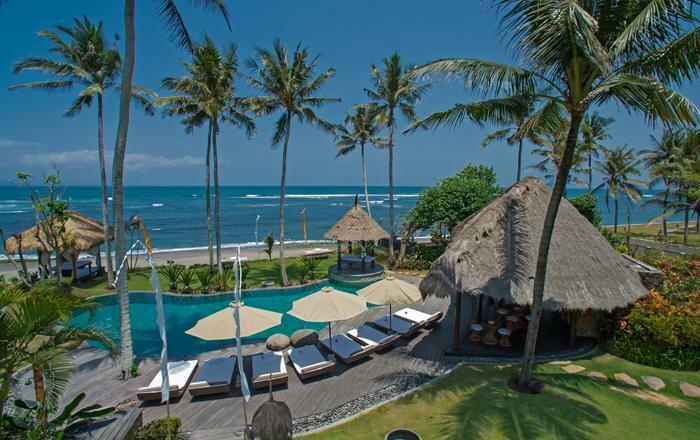 Villa Saengootsa is a sophisticated luxury haven carefully crafted to suit its spectacular surroundings. 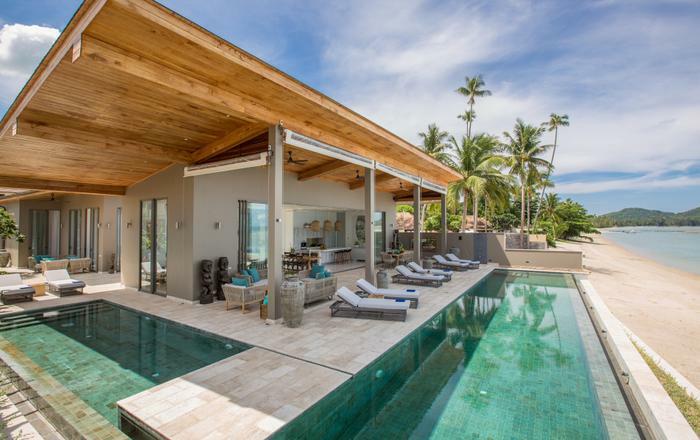 Built as a private holiday home by the architect who designed the entire Samsara Estate, clean lines and geometric angles hint at the homeowner's artistic profession - softened with plush furnishings and enlivened with colourful artwork - to create an overall atmosphere of modern tropical minimalism. An entrance staircase descends dramatically from the foyer into the main living room, an airy space featuring a custom-made oversize sofa suite, its stark modular lines mirroring the panoramic ocean horizon sweeping as wide as the eye can see. Plus there's plenty to keep friends or colleagues entertained after a day of exploring or brainstorming without ever leaving the villa’s enchanting view-soaked surrounds. Features include an on-site office, dedicated AV room with 64" wall mounted LCD TV + DVD and attached games room with billiards table and a built-in bar. Guests can effortlessly drift between the villa’s multidimensional spaces indoor and out. The glass enclosure of the double-height central lounge can be slid all the way open to allow the space to flow seamlessly from the outdoor dining area, through the lounge and out onto the alfresco pool terrace and open air relaxation pavilion. Plus they allow in a blissfully cooling breezing during the heat of the day and create a sense of unity with the natural surroundings. 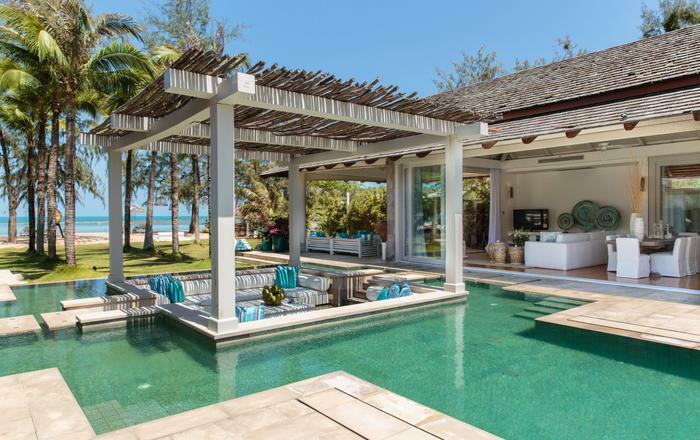 One on the crowning features of the villa is the 15m infinity-edge swimming pool flanked by a wrap around pool deck with sun loungers and an integrated sound system. 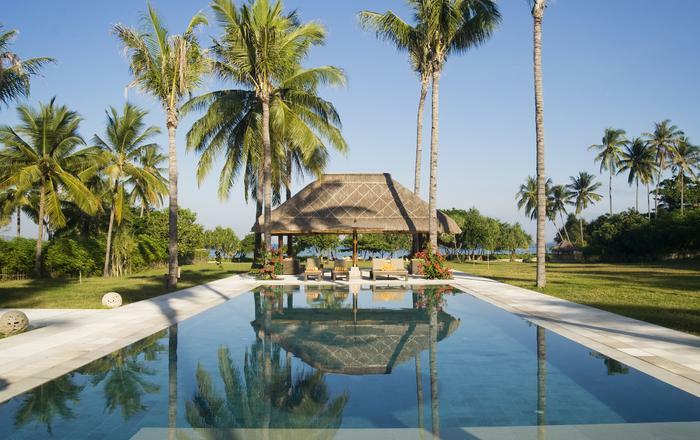 However there are several outdoor spaces to be enjoyed at Villa Saengootsa. Oozing industrial chic, the covered outdoor dining space features a top-of-the-line barbecue unit built into the granite island kitchen counter and a long dinner table and benches made of matching brushed concrete. The addition of a poolside Sala, perched on the corner of the plot and overlooking the Andaman sea, means sundowner rituals easily become an irresistible part of the stay. Five spacious bedrooms await their guests and offer a private retreat at the end of an activity-packed day. There are various configurations of beds available to suit any group and each bedroom has been lovingly designed with style and comfort in mind with high-quality bedding and large windows with stunning views. To top it off outdoor bathtubs are sunken into the private terraces of three en-suite rooms, while master bedroom guests are invited for an extended al fresco soak on their secluded terrace. 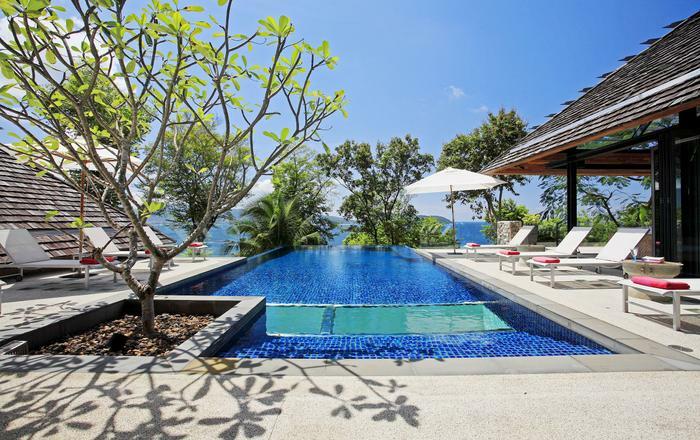 Villa Saengootsa is tended by two discreet live-in staff: one chef and one housekeeper. The chef is skilled in Thai cuisine as well as Western, Chinese and Indian meaning that you can choose from a wide range of meals to suit all of your guests. 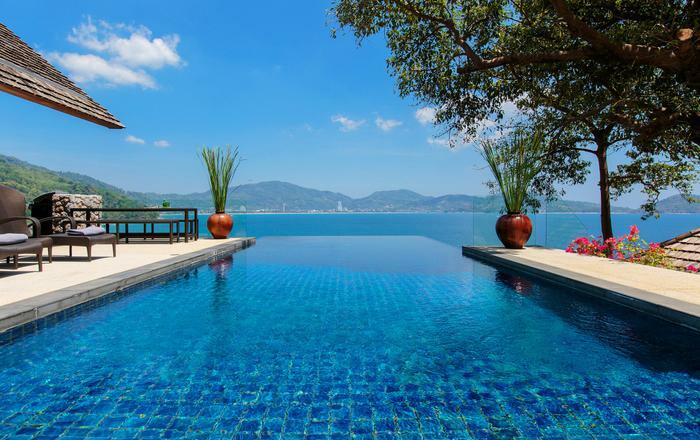 The Samsara Estate front office team and villa concierge complement the villa's permanent staff to organize customized requirements and satisfy any holiday whims. This place is AMAZING!! I cannot put into words how awesome it truly is. The chefs are amazing, we haven't had a bad meal yet and they cater to your every need. It will be hard to get back to realty after this trip! I would give it 10 stars if I could! 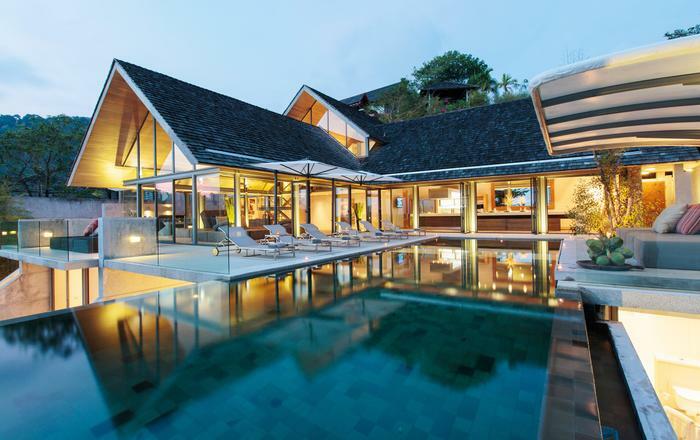 I would want anyone I know who travels to Phuket to experience this wonderful Villa! Thank you Samsara for a wonderful time! 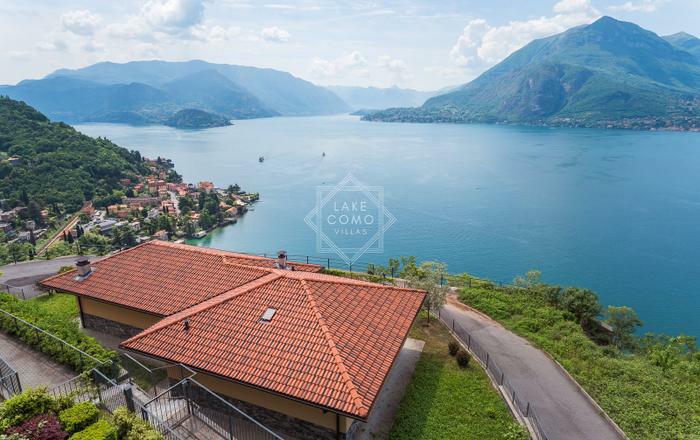 Amazing villa with indescribable views. The support staff is so patient and hospitable. 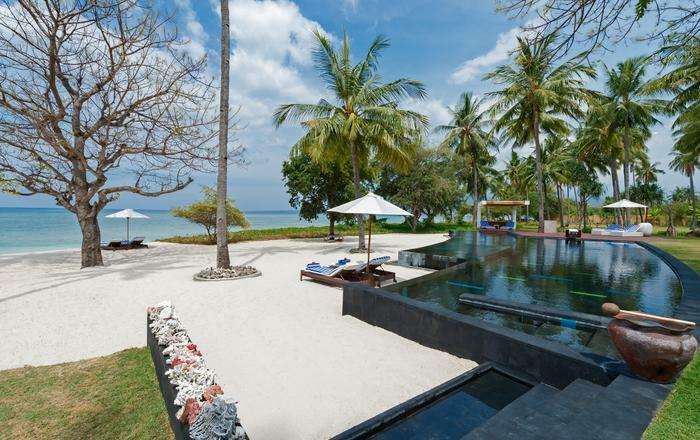 The entire experience is more like a retreat spa than a villa you rent. The stay here has been OUT OF THIS WORLD. Arrived at the Villa to meet the very friendly staff who showed us through the spacious and beautiful upstairs lounge & hall area to our walk in pool side rooms overlooking the sea & beach - first impressions WOW! Large infinity swimming pool with great views, rooms immaculate with own on suite bathroom & all amenities provided.Sauna present along with downstairs lounging area with a huge TV along with a treadmill... Coffee & breakfast both mornings was provided by the friendly staff along with the offer of beer! Was very impressed with my whole experience & can say would definitely stay with John again 5 stars! Thank you for the wonderful hospitality! We had a great time in this lovely villa. The food was amazing, the best of all the villas we've stayed in the past. Thank you for the warm welcome. We really enjoyed the food you served us every day. I can definitely recommend your place to our friends. Thanks for a great six weeks. We had a wonderful time and the staff and cooking were fantastic. What a beautiful place. What a beautiful place to spend 10 days relaxing. The staff were absolutely gorgeous. Great cooking, wonderful organizing & baby sitting. Amazing villa and we had a wonderful stay. Thank you so much. We had an incredible 5 star week in Phuket. Thank you for another outstanding weekend. We simply love Noi's cooking. Beautiful home, lovely views, great hospitality. We are keen to visit again. Thank you for a most awesome time! Fantastic view, fantastic service and fantastic food. Only one problem: they don't know how to cook terrible food! Will definitely want to come back again for some serious pampering.